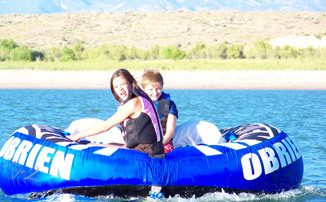 Keep the kids busy at the lake with a water tramp TK Watersports also offers a number of pull tube and water sports equipment. Try it out for size and buy it from our sponsors if you like it. 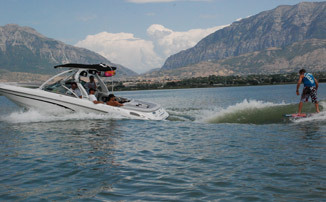 Utah Custom Water Sports Equipment Rentals New for 2010: Shop TK-Pro shop and pick new your rental from our inventory. 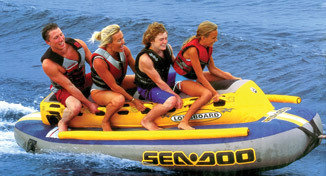 Try out the board you have wanted, wet suit, pull tube, or life vest. 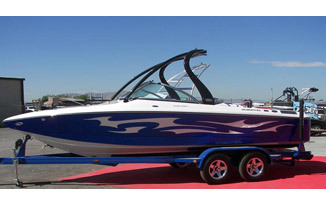 Rentals must be 4 days or more. 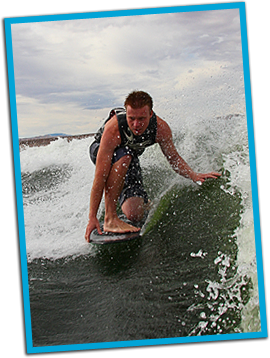 Last summer we joined M&M Watersports attending there the first ever Drew Danielo Wakesurfing Clinic. 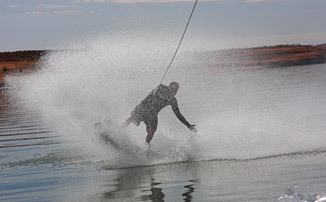 The 5-time World Wakesurfing Champion, Drew Danielo came from Venice, Florida as part of the M&M Watersports team, for a week of wakesurfing instruction, tips, techniques and FUN. 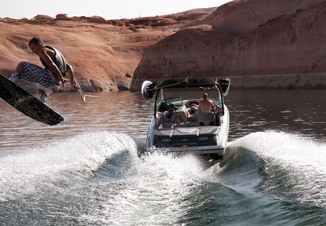 Riders, young and old, from beginner to advanced, took advantage of a full day of professional instruction behind the same boats that pull the World Wakesurfing Championships. 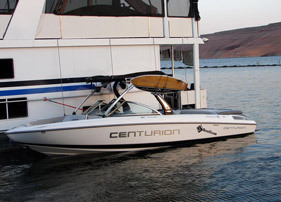 Right and left hand rotating Centurion boats were provided to accommodate both goofy and regular riders. 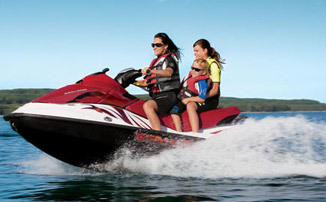 Students were instructed; they then had plenty of time riding to put into practice the things they learned. The clinic was a huge success and, due to popular demand, it will back again this summer.